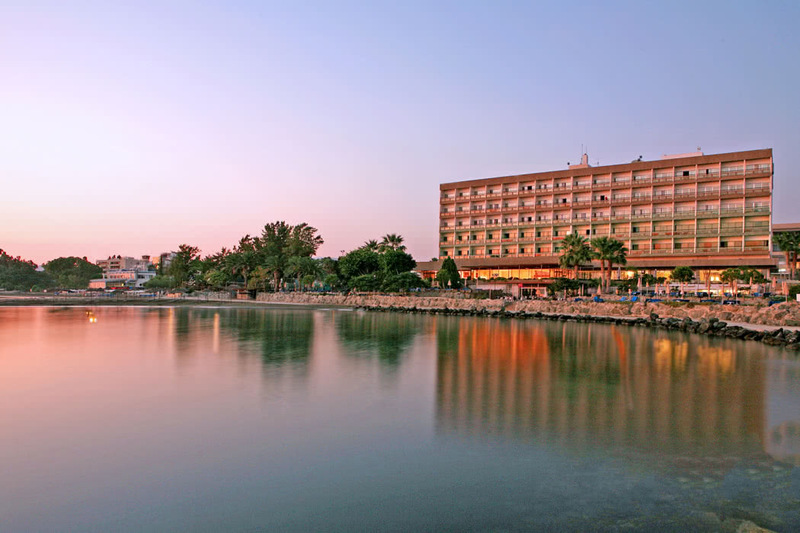 The renovated Crowne Plaza Limassol hotel is the closest beach hotel to the city centre, Limassol marina and medieval castle, making it an ideal base for your holiday. 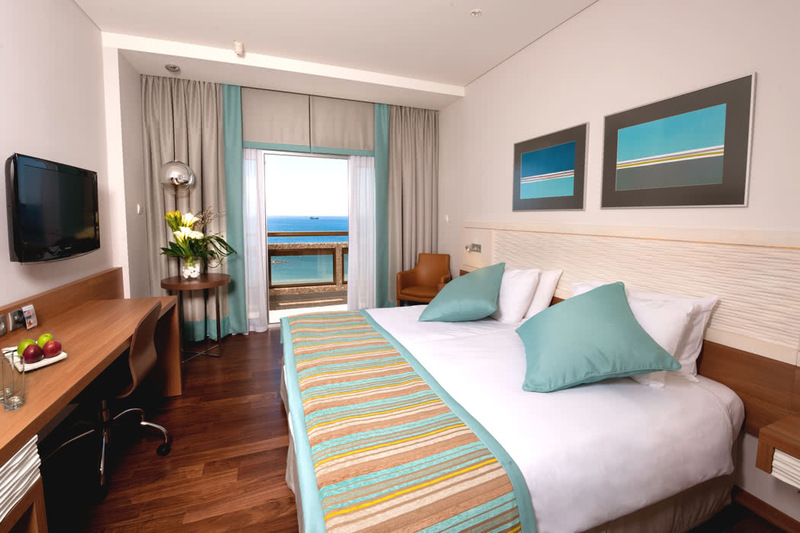 It is also currently the only international brand hotel in Limassol, making it an excellent option if you like to collect or redeem IHG® Rewards Club points. The hotel is perfectly situated with a convenient bus stop 100 metres away, as well as restaurants, bars and a large shopping centre close by. You can reach the Old Town, home to the medieval Limassol Castle, in ten minutes by car or bus. 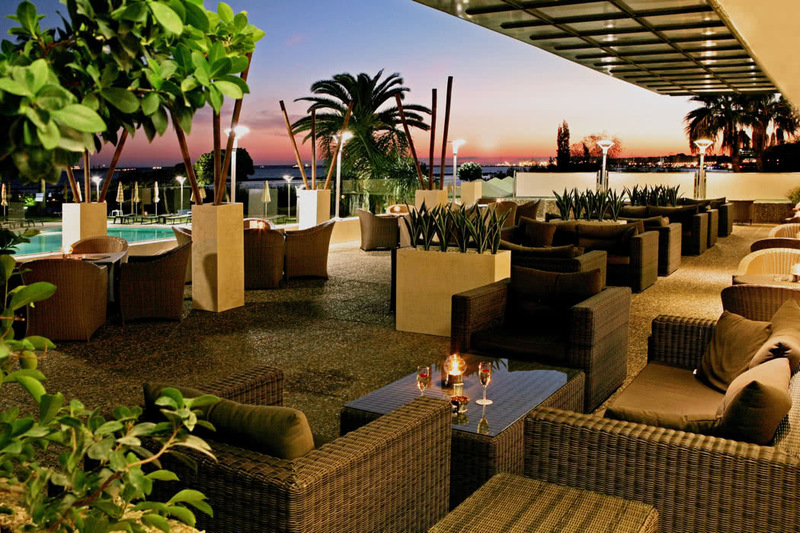 A couple of minutes further along the coast is the Limassol Marina, a hot spot for waterfront dining. It is also worth noting that a taxi from either airport to the hotel is around €60 and the bus €9. This hotel is all about the pool and private beach. 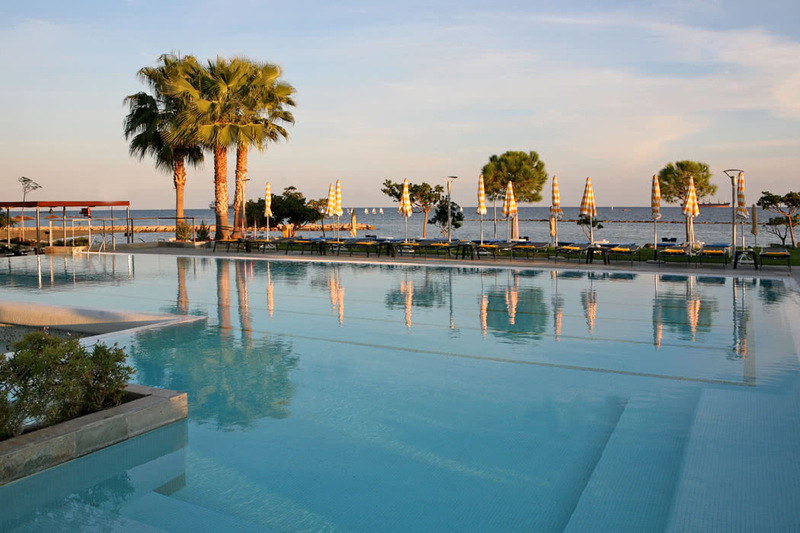 The pool is surrounded by green lawns and beautiful terraced gardens overlooking the sea. 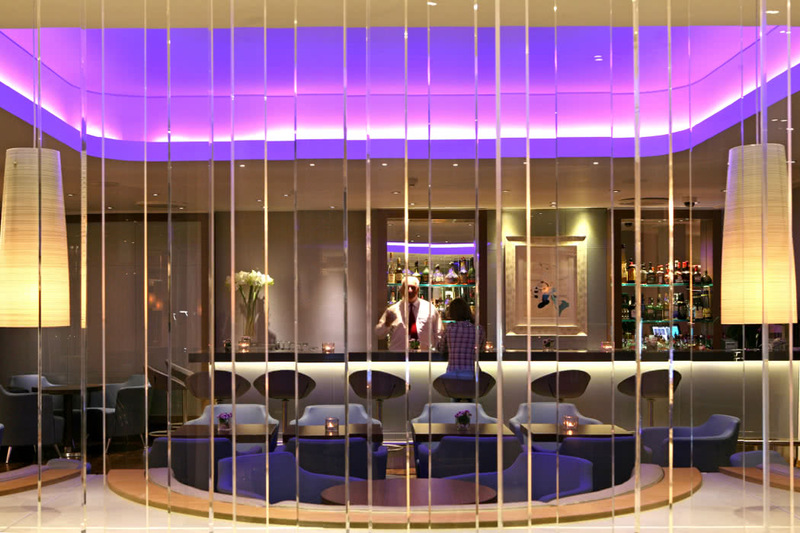 The look and feel is modern and much of the hotel has been recently refurbished. 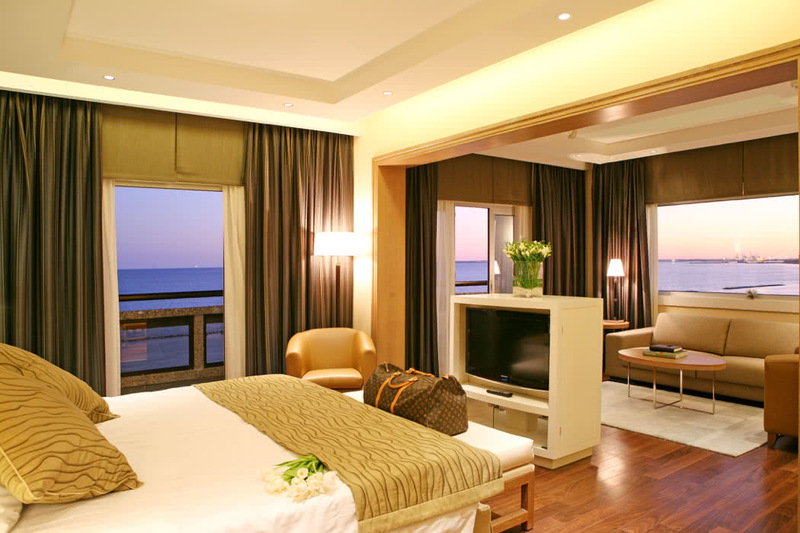 Because it sits on the waterfront, the restaurants and the sea-view rooms enjoy expansive views out across the sea. 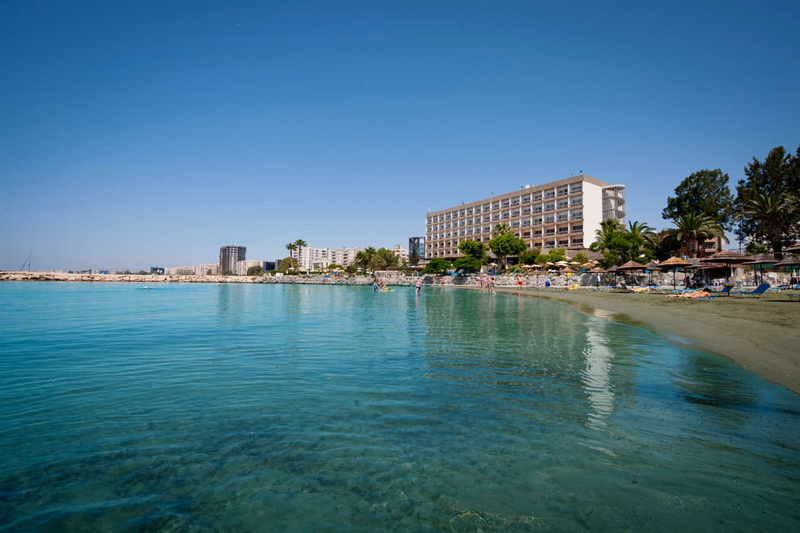 The outside pool and private beach area is undoubtedly this hotel’s best asset and is beautiful, but the location means that you can enjoy the waterfront views from most communal areas of the hotel. All rooms are spacious, clean and functional with wooden flooring and stylish furnishings. The sea-view rooms are well worth paying the extra for. In these, you can stretch out on the balcony and watch the sun go up and down and the activities taking place on the seafront. 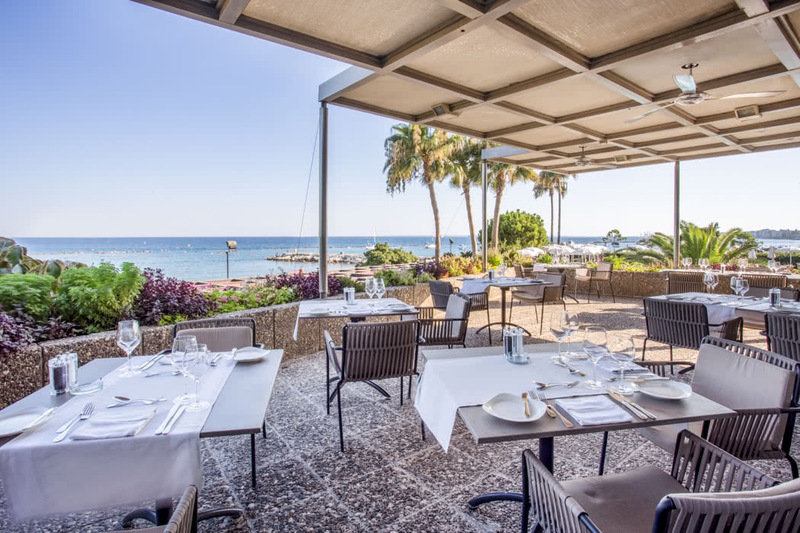 There are two restaurants at this hotel, including an award-winning Italian restaurant, La Brezza, and three bars where you can enjoy food and drink. Dine on the terrace, enjoy a sunset cocktail looking out to sea. The outdoor setting is also particularly nice for breakfast, which you can enjoy inside or outdoors. there is a nice variety of hot and cold food as well as an egg bar, so there is plenty to fill you up and set you up for the day ahead.